Oh, what a surprise… another Joss Whedon show. Unless I’m mistaken this is the last in this list though – Mr Whedon – do you not like the middle or the end of the alphabet? I have to admit to coming to Firefly late in the day – think it might have been less than 3 years ago even though it started in 2002 (actually must have been because I was able to follow some of the actors on Twitter straight after watching and I’ve not been on Twitter more than that amount of time). That evil priest dude who poked Xander’s eye out in Buffy was suddenly nice!! (And then he turned into Castle and stayed nice – yay). Nathan Fillion, as evil priest dude is otherwise known plays Mal – the Captain of a Space transport ship Serenity. His crew are Zoe and her husband/pilot Wash – Jayne (not a girl but a gun loving grump) and mechanic Kaylee (a girl). They are joined by ‘on-the-run’ brother and sister, medical officer Simon and River (who is a bit doolally). Also on board are courtesan Inara and preacher Shepherd. The show had a western feel with train robberies and shindigs. As this only got one season and a mere 14 episodes (rude – I’ve just read on imdb that Joss had intended it to run for seven seasons!!) (and I need to watch it again because I’ve only seen it once) – I am not going to single out any episodes but instead highlight some standout ‘bits’. The bit where Kaylee puts on a dress and gets to be a girl. Wash: [about Jayne’s statue] I think they really captured his essence. Wash: Yeah, that’s kinda what I mean. All the bits with Inara – she is a pretty complex character. Finally though, someone saw sense and breathed a final hurrah back to the series by making it into a movie (I wish they would do that with every series they cut off mid story). I loved the big budget ‘Serenity’ and we finally get to properly see why River is on the run. I’ve only seen season 1 so far so no season 2 spoilers please. Looks like a season 3 might be forthcoming too. I do like a bit of Noah Wyle. How are we all doing with this blogging everyday lark? I was very naughty today and didn’t start writing until 22.17!! 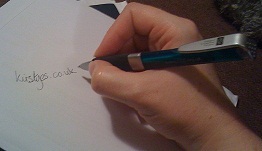 Some days I’ve written and scheduled for the next day but have slacked the last few days. Think I’ll have to use my leave next week to make sure some are scheduled in advance because when I go back to work it will be harder. Are you a Firefly/Serenity fan? Which series would you like a movie of to wrap things up? Personally very happy that Veronica Mars is happening – not in this genre I know but still a good show cancelled too soon. 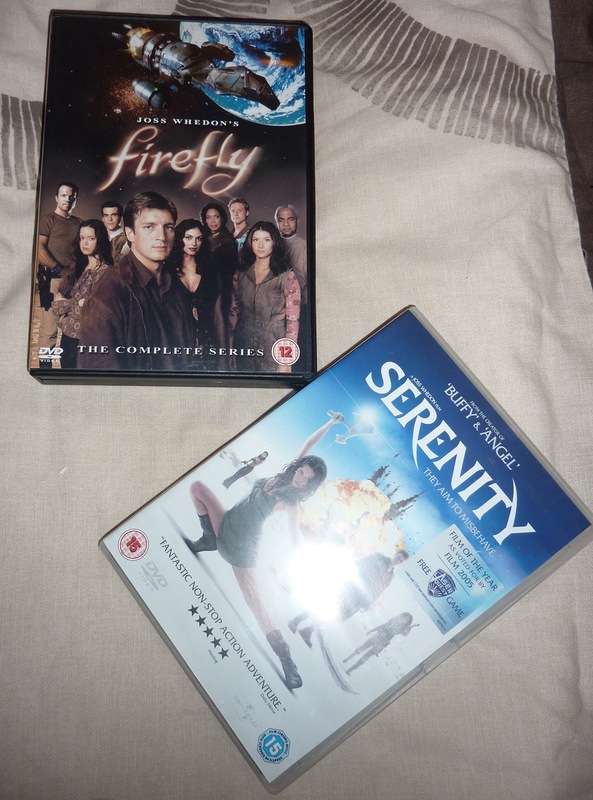 Posted on April 6, 2013, in April A-Z Challenge, Film and TV Reviews and tagged A-Z 2013, Castle, Falling Skies, Firefly, Firefly/Serenity, Joss Whedon, Noah Wyle, Serenity, Veronica Mars. Bookmark the permalink. 4 Comments. You too Margo. Hope the first week has gone well for you. I came to it even later, I just watched it in the last year or so. I did love it when I watched it but I new Nathan as Castle before Mal. I liked Falling Skies as well, but it seems like forever since it’s been on. I adore Castle – the character and the show. I’m not a fan of waiting between seasons either – mind you without that wait I’d never catch up.